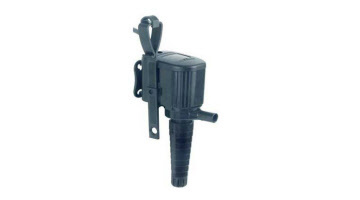 The Acella Pump Is ideal for freshwater and saltwater applications. An upgrade pump to the nano cube. This unit is UL approved and energy efficient. Looking for full LED freshwater or saltwater aquariums then click here. These pumps provide the proper water circulation for healthy fish and animals within your freshwater or saltwater aquarium. All pumps - powerheads are CE approved with 3-prong grounded cords that carry a 6 month warranty. Ceramic shafts ensure long-term reliable performance at an affordable price. "Dual Output" flow direction circulates water in two different directions simultaneously. Corrosion resistant for fresh or saltwater usage. Can be used with the JBJ nano cubes tank for more waterflow.